Oriental poppies thrive in full sun borders and beds late spring into early summer. 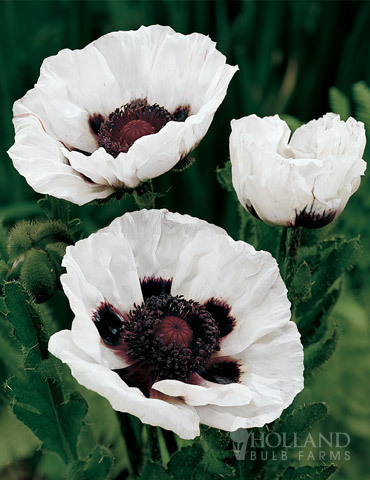 Perry's White Oriental Poppies have pure white flowers with a black center. This poppy will grow 30" tall and prefers well draining soil, and dry feet in winter for best results. * Please note Oriental Poppies go dormant after blooming, sun loving summer blooming perennials should be planted in front and around them to mask the empty space that will be left.